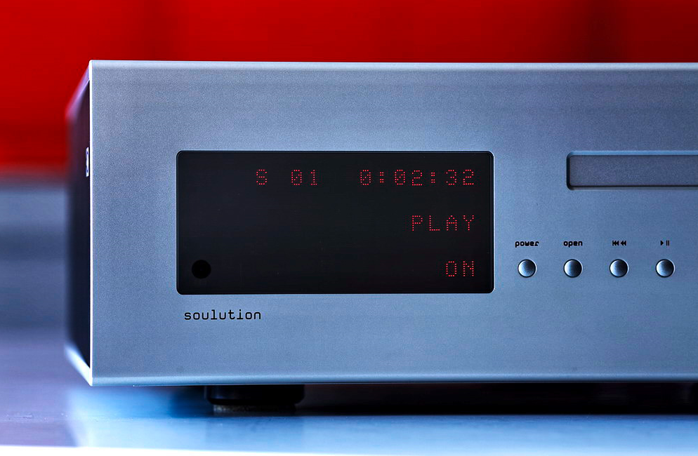 Soulution is an example of a company who have based their success in the audio business on solid engineering, out-of-the-box thinking and resolutely swimming upstream. Over the last six years—the company was founded in 2005—Cyrill Hammer Jr. and Roland Manz built for their brand a position of most serious competitor to the biggest names in this business. What’s more, their products quite often win against such competition. 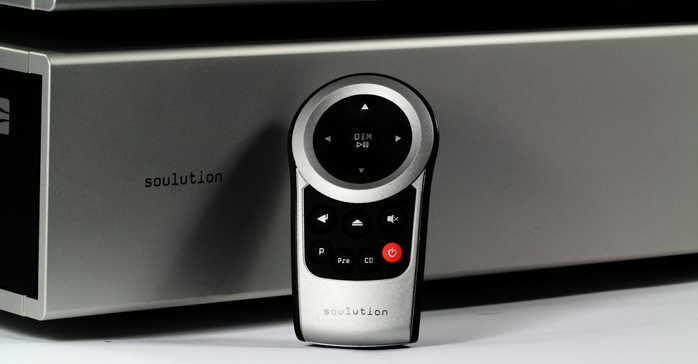 In July I tested their 540 player, the most recent addition to Soulution’s portfolio. It’s a member of their less expensive line. The more exclusive 700 range was introduced in 2005 and hasn’t changed much since. 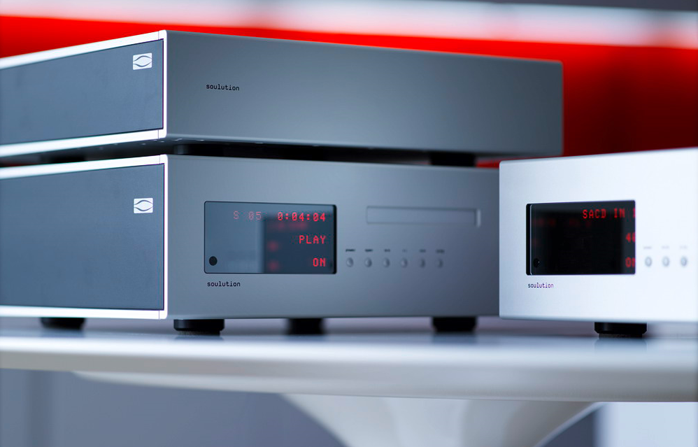 There have only been some minor enhancements and some new introductions like the 745 player which replaced the older 740 precursor. That’s extraordinary model longevity though not completely uncommon in high-end audio. After all, anyone paying a lot of money for an audio rig expects it to be bloody good not only today but ten years later too, right? Intentionally or not, I’d first compared the newer 540 player to today’s two-box 745 because despite many differences these machines also share certain basic elements. For one both are SACD players. They use the same Esoteric/Teac VRDS-NEO UMK-5 transport mechanism and Edel S2 upsampling module running polynomial algorithms by digital specialist Anagram Technologies. 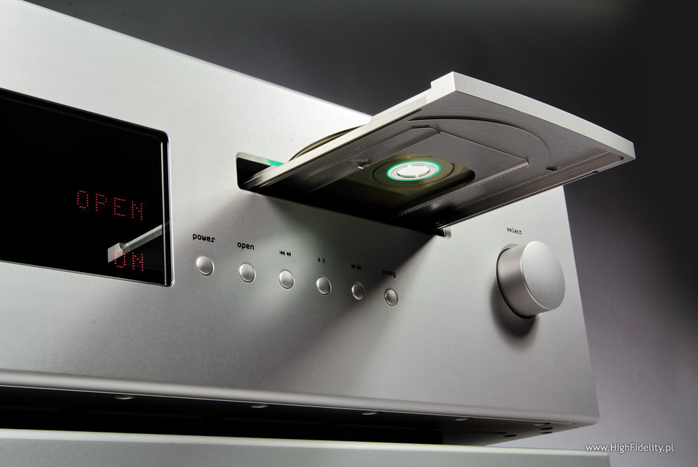 Last but not least, SACD is converted directly to 24bit/384kHz PCM and both devices can work as standalone D/A converters even though the later 540 adds a USB port which the more expensive earlier machine still lacks. 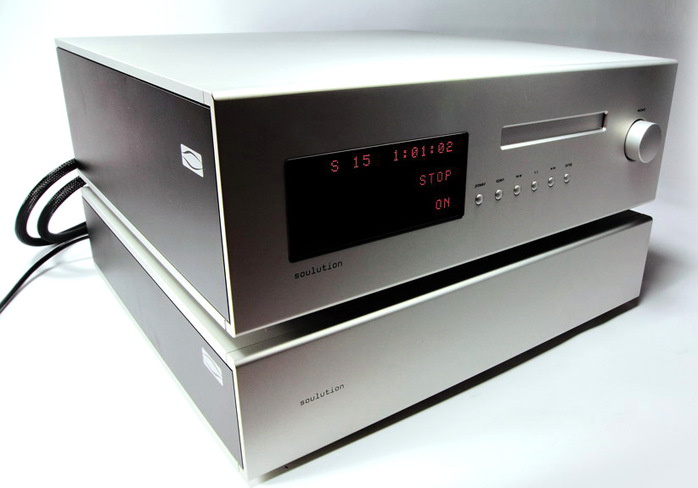 Of course there are differences too, the most important and obvious being the fact that the 745 is a two-box design with a separate power supply called 740U. 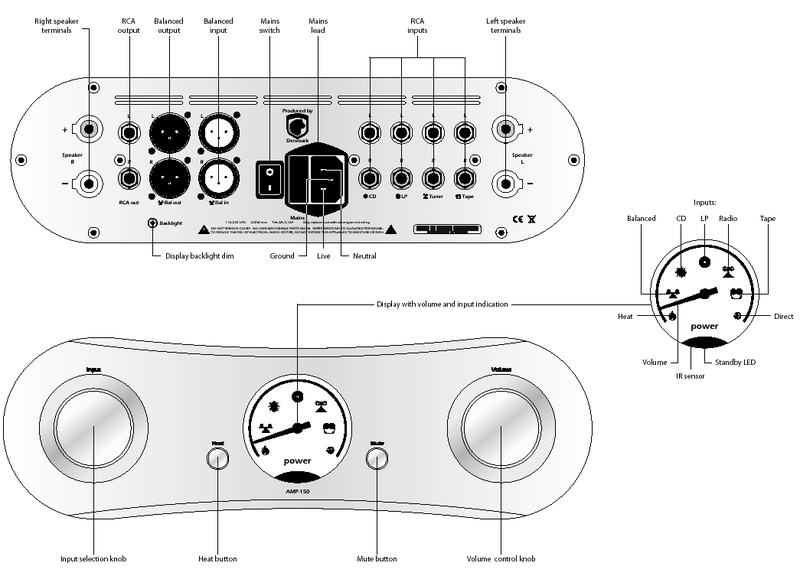 More differences can be found when looking at the specifications. The 745's noise level is an order of magnitude lower (0.002% vs 0.0002%), its output impedance is 5 times lower (10Ω vs 2Ω), its output stage is 5 times more effective (0.2A vs 1A) and power consumption is slightly higher (50W vs 60W). 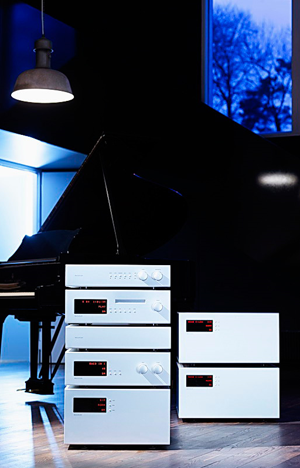 My review system included Harbeth M40.1 Domestic loudspeakers, Ayon Audio’s Polaris III preamplifier and Soulution’s 710 power amp (I reviewed the latter for our domestic Audio magazine). I also used Leben’s CS300 Custom Version with my Sennheiser HD800 in a headfi system and Halide Design’s Bridge 24/96 USB-S/PDIF converter for hi-res files from my laptop. I plugged the review loaner into a Furutech FT-SWS wall socket with dedicated Oyaide Tsunami Nigo power line with HGP fuse. The rest of the system was plugged into an Acoustic Revive RTP-4eu connected to a separate Furutech FT-SWS socket. Whilst the Soulution ships with a much better power cord than most, I still chose the Acrolink Mexcel 7N-PC9300 power cord. According to the manufacturer's recommendation both boxes were placed on separate shelves where the main unit stood atop an Acoustic Revive RAF-48. The Swiss state that the 745 delivers its full performance right out of the box yet just in case I left it in endless repeat mode for a few days first. Sound – a selection of recordings used during the review: CDs - Art Pepper, Art Pepper Meets The Rhythm Section Contemporary Records/Victor Entertainment, VICJ-41524, (2006), K2 CD; Audiofeels, Uncovered, Penguin Records, 5865033, (2009), CD; Clan of Xymox, Clan of Xymox, 4AD, CAD503CD, CD; Ella Fitzgerald & Louis Armstrong, Ella and Louis, Verve/Lasting Impression Music, LIM UHD 045, (2010), UltraHD CD; Glen Gould, Bach: The Art Of The Fugue, Sony Music/Sony Classical, SMK 52 595, The Glen Gould Edition, (1997) SBM CD; Jean Michel Jarré, Magnetic Fields, Epic/Sony Music, 488138 2, (1997), CD; Bill Evans, Everybody Digs Bill Evans, Riverside/JVC, JVCXR-0020-2, XRCD; * Carol Sloane, Hush-A-Bye, Sinatra Society of Japan/Muzak, XQAM-1031, CD; Grabek, 8, Polskie Radio, PRCD 1372, CD; Laurie Anderson, Homeland, Nonesuch Records, 524055-2, CD+DVD; Leszek Możdżer, Komeda, ACT Music + Vision, ACT 9516-2, CD; Stan Kenton & June Christy, Duet, Capitol/Toshiba-EMI, TOCJ-9321, CD. SACDs - 30th Anniversary. Original KI Pearl Collection Box, STS-Digital, 6111100, SACD/CD; Stereo Sound Reference Record. Jazz & Vocal, Stereo Sound, SSRR4, SACD/CD; Stereo Sound Reference Record, Popular Selection, Stereo Sound, SSRR5, SACD/CD; Art Pepper, “…the way it was!”, Contemporary Records/Mobile Fidelity, UDSACD 2034, SACD/CD; Dead Can Dance, Into The Labyrinth, 4AD Warner Music Japan, WPCB-10076, SACD/CD; Dead Can Dance, Spirit Chaser, 4AD/Warner Music Japan, WPCB-10078, SACD/CD; Kazumi Watanabe, Jazz Impression, Eve Records, EWSA 0163, SACD/CD; McKinley Black, Beggars, Fools and Thieves, Stockfisch Records, SFR 357.4065.2, (2011), SACD/CD; Michael Schlierf, Clouds And Silver Linings, Stockfisch, SFR 357.4070.2, SACD/CD; Miles Davis, Seven Steps To Heaven, Columbia/Sony Music/Analogue Productions, CAPJ-8851, (2010) SA, SACD/CD; Nat “King” Cole, Love is the Thing, Capitol/Analogue Productions, CAPP 824 SA, (2010), SACD/CD; Peter Gabriel, So, RealWorld/Virgin, SAPGCD 5, SACD/CD; Sonny Rollins, Plus 4, Prestige/Mobile Fidelity, UDSACD 2006, SACD/CD.